Helper method called by createNarrowedReference(). Generates a unique object ID string, based upon the current PID and time. Definition at line 95 of file Servant.cc. 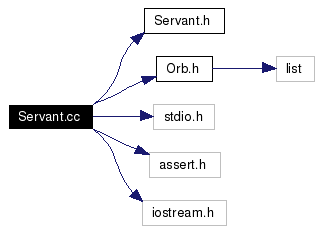 Referenced by OmniEvents::Servant::activateObjectWithId(), OmniEvents::Servant::deactivateObject(), OmniEvents::Servant::Servant(), and OmniEvents::Servant::~Servant().